Emergency vehicles in Surrey, B.C. 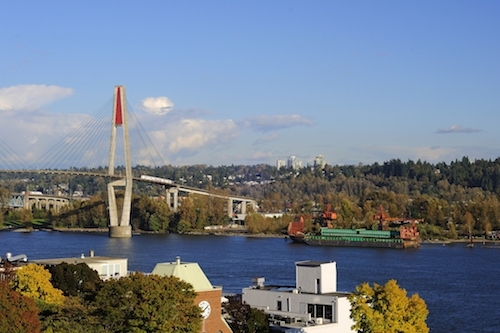 should have an easier time getting through intersections thanks to Global Traffic Technologies Canada (GTT), which recently contracted with the City of Surrey for the implementation of its Opticom traffic preemption solution. This system works alongside intersection controllers to help “ensure emergency vehicles can move through intersections rapidly and safely”. When an emergency vehicle needs to navigate an intersection, the Opticom Emergency Vehicle Preemption (EVP) system on-board the emergency vehicle sends a request to the intersection’s controller ahead of its arrival, turning the light green. In Surrey, the EVP system has been deployed to 90 of the city’s busiest intersections, the company says.